tina the trend guru: This Weeks Dazzling Finds! You know how much I love jewelry with messages, well this company uses handmade lampwork glass beads with a message on them. Their specialty...names on the glass. 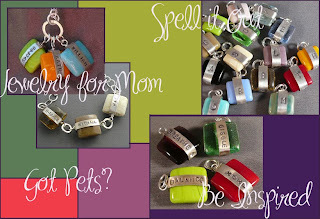 Great for moms to put their children's names on the beads , how about the name of that special someone or as a remembrance piece. I love this look. Check out the website to see what the artist, Jamie Livingston does! Foxy Originals has a variety of other designs too. The necklace below is the Jasmine Necklace . A Victorian style pendant that is complemented by a playful tassel. Jayden Star has a dazzling array of jewelry. The designs come from Italy and Israel. 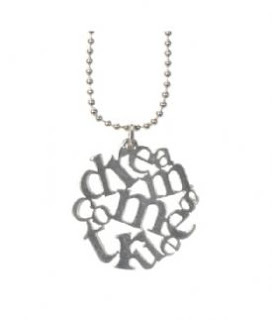 The Anat Necklace is handmade in Israel. 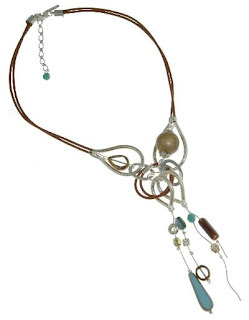 The necklace is Metal, Leather, Faceted Beads, Glass and Resin Elements. 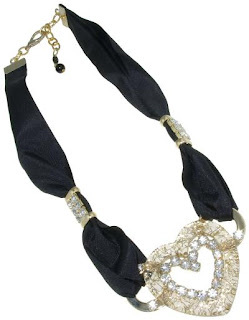 This necklace is Handmade in Italy with Silk Ribbon, Faceted Crystals, and Heart Shaped Acrylic Resin Element. Metal is Galvanized Brass. I LOVE GREEN! 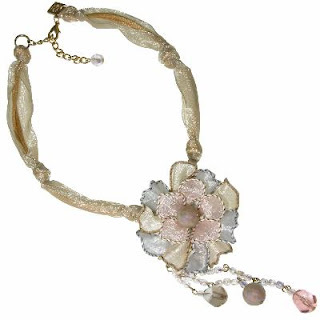 and this bracelet is Handmade in Italy The use of green silk cords, gold tone chain, and beaded chain is superb. 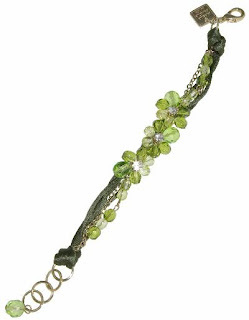 The center of the bracelet features three small flowers of faceted green tone beads and Swarovski crystal studs . Fabulous!! 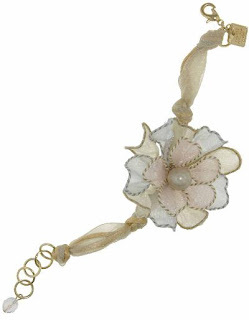 Handmade in Italy this silk flower bracelet has a faux pearl center. This piece also has a matching necklace shown below. 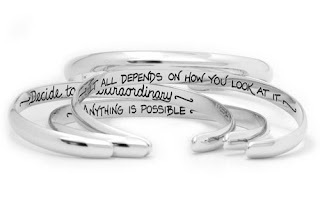 The bracelet shown has an inspirational message . 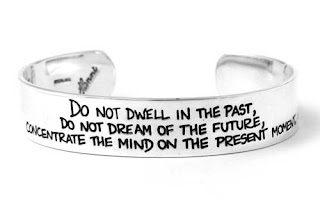 The message is on the inside of the bracelet for your eyes only. LOVE IT!!! The bracelets are by Hanni. 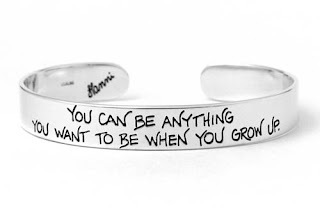 HANNI bracelets are all sterling silver with inspirational messages. You know how much I love to keep those wonderful inspiring messages around me . The have other great sayings! Who doesn't still have that dream of what they want to be when they grow up? ?http://www.heyjewelry.com/ Thanks for checking this week. New Fabulous Finds on the 29th! I love the foxys originals. Great finds this week! Thanks Mel! I LOVE the Foxy jewelry too. I am looking for new good things for the week!! I am known for finding the latest and greatest in gift, accessories and fashion world. I have owned gift shops over the last twenty five years and have been called "the trend guru" by my customers. I discover the newest trends and have been encouraged by my customers to start this on line blog! New and Exciting for September!